Since President Xi Jinping came to power in 2012, China has significantly increased controls over its already censored cyberspace—with a ruling that will allow jail terms for spreading “rumors” online, a cybersecurity law that will facilitate state control and data access, crackdowns on unauthorized VPN connections, and emphasis on the concept of “internet sovereignty.” At the same time, technological innovations in such areas as big-data analytics, artificial intelligence, and the Internet of Things are increasingly being harnessed to monitor the lives and activities of China’s 1.4 billion people. The new arsenal of the Chinese surveillance state includes mass video-surveillance projects incorporating facial-recognition technology; voice-recognition software that can identify speakers on phone calls; and a sweeping and intrusive program of DNA collection. In addition, officials are at work on a nationwide Social Credit System (SCS) intended to assess the conduct of every Chinese citizen. Yet as the technologies that once promised to enable a free flow of information have spread, authorities have intensified their efforts to bend these systems to their own purposes. The Chinese government has set up a series of mechanisms aimed at asserting its dominance in cyberspace. It has also increasingly combined an extensive physical infrastructure of surveillance and coercion with cutting-edge digital technologies. Censorship and propaganda have gone hand in hand: Those who express unorthodox views online may become the subjects of targeted personal attacks in the state media. Surveillance and intimidation are further supplemented by outright coercion, including police visits and arrests. China’s current leader Xi Jinping, who ascended to the posts of PRC president and Chinese Communist Party (CCP) general secretary in 2012, has prioritized control over the information sphere in a bid to [End Page 53] forestall challenges to the CCP’s legitimacy. Xi has placed considerable emphasis on the concept of “internet sovereignty,” asserting the primacy of rules made by national governments and the authority of national-level regulators over web content and providers. Rather than limiting themselves to playing defense against opposition activity, PRC officials have employed digital technologies to monitor and control society, especially in the era of “big data,” artificial intelligence (AI), and the Internet of Things (IoT). The PRC government has also been developing new instruments for policing cyberspace more broadly. Early in 2014, the CCP formed a Central Leading Group for Cyberspace Affairs chaired by President Xi. In November 2016, the country adopted its first cybersecurity law. On 2 May 2017, the Cyberspace Administration of China (CAC) issued the first comprehensive update in twelve years to regulations requiring government licenses for all websites that distribute news—including not only traditional websites, but also messaging and other apps, blogs and microblogs, and internet forums. On top of these legal and institutional innovations, Chinese authorities have stepped up their administrative efforts to keep internet providers in line. Instances of what the CAC calls “Yuetan” (“Called in for Meetings with the Authorities”) have become more frequent after major internet companies Sina and NetEase were found to be in “serious violation of regulations” and were subsequently called in for meetings.7 On 1 June 2015, the CAC released a new set of regulations that call on the agency’s central and local branches to hold meetings with the responsible persons at internet news and information-service organizations following major violations. Meetings involve pointing out concerns, issuing warnings, and giving instructions for rectifying behavior. If changes are not satisfactory, the targeted company can be given further warnings, or it may face a fine or even a revocation or suspension of its business license. Before mid-2017, authorities’ targets were largely online news portals; the focus has since shifted, and entertainment and video platforms, together with live broadcasts, now make up the primary subjects of Yuetan. The number of Yuetan conducted nationwide grew from 820 in 2015 and 678 in 2016 to 2,003 in 2017. In the first half of 2018, 760 of these meetings were held. China’s intensified internet-control mechanisms are now entering the “big data” era, and they have increasingly come to intersect with the PRC’s wider surveillance and information-collection infrastructure. In the past five years, both Chinese state agencies and their private-sector partners have begun exploiting their access to a wide array of systematic data about citizens. China has been the world’s fastest-growing user of surveillance cameras, a trend mainly driven by government usage. Over the past decade, technological advances have made these cameras ever more effective instruments for monitoring China’s 1.4 billion people. Today, facial recognition and intelligent analysis—technology that flags objects or events of interest when these are picked up by the camera—are becoming standard features of video surveillance. The recognition of faces by cameras began to become a reality in 2010, when researchers made a breakthrough in the deep-learning algorithm used for speech and image recognition. The algorithm can also assess in real time the number and density of people in the frame, individuals’ gender, and the characteristics of clothing and vehicles. 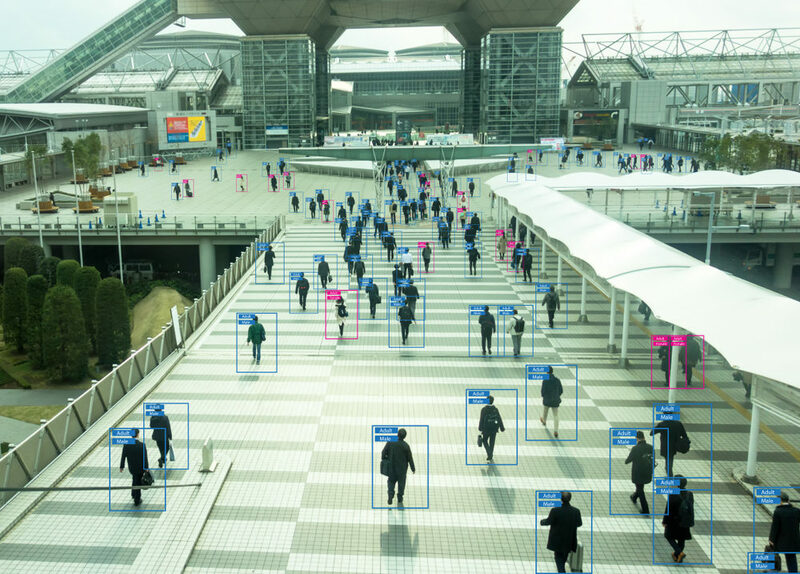 Compared to other countries, China—with both a vast population and an extensive video-surveillance system—has a huge amount of face data ready for use in the machine-learning process [End Page 56] that is used to refine facial-recognition systems. Furthermore, the government’s strong interest in this area helps to ensure that the industry stays supplied with ample resources for upgrades to equipment and research algorithms. In recent years, the PRC’s ever-tighter surveillance network has been strengthened by a new form of data collection: National officials, employing controversial methods, have been rapidly building up the country’s DNA database. Work on this database, which is supervised by the [End Page 57] MPS, reportedly began in the early years of the new millennium, under the tenth five-year plan for science and technology. The Chinese government now boasts a vast DNA database synchronized with hundreds of local databases, and official documents suggest that it aims to nearly double the number of records included from the present 54 million to 100 million by 2020.16 Combined with other forms of big data and powerful technologies such as facial recognition and AI, this database has the potential to become a formidable instrument of surveillance and repression. The PRC’s massive program of DNA-data collection seriously infringes on the privacy of Chinese citizens. It also is unfair in its treatment of vulnerable groups, including ethnic minorities. China’s western Xinjiang region, home to the Uyghurs, has effectively become “a ‘frontline laboratory’ for data-driven surveillance.” Cameras are ubiquitous in Xinjiang, and their view extends well outside urban centers. The methods employed in this province may well fore-shadow the nationwide implementation of similar “predictive-policing tactics” in the months to come.18 Xinjiang is also the place in which DNA-collection efforts have taken their most extreme form. Through the SCS, Chinese authorities can bundle with a citizen’s national ID code information about matters ranging from tax payments, personal finances, and business registrations to traffic violations and more. Once credit information is linked to documents establishing the personal status of citizens, such as household registrations and ID cards, state authorities as well as the cooperating companies operating social-credit systems can quietly guide and influence behavior. Individuals with good credit records can be rewarded, and those with bad ones may face negative consequences. For example, citizens with unpaid taxes, debts, or traffic fines can be kept from purchasing certain kinds of transportation tickets and rejected when applying for bank loans or credit cards. Measures of this kind have already been put into effect: By mid-2018, due to poor social-credit scores, more than 11 million people had reportedly been placed under limits on the purchase of airline tickets, and 4.25 million people were restricted in buying high-speed rail tickets.27 For those whose political activity draws negative official attention, this system is likely to have serious repercussions. The experiences of individuals currently on social-credit blacklists suggest that those subject to restrictions may not be notified when listed, and will not have easy access to appeal procedures. In China’s one-party dictatorship, there is no independent rule of law, nor are there checks on the government’s power. This means that many of the restraints on the handling of personal data that are present in democratic societies do not apply. Under the new cybersecurity law and other security legislation, authorities can freely access nearly all personal information.28 Once fully operative, the SCS—premised on a massive invasion of citizens’ privacy through large-scale monitoring—will provide the state with a range of new mechanisms by which it can exert control over China’s people. The rapid global expansion of Chinese high-tech companies and their products warrants vigilance for several reasons. First, when users traveling outside the PRC continue to rely on Chinese applications such as WeChat, the applications’ built-in content restrictions travel with them. Second, these platforms can double as tools for information collection. The University of Toronto–based Citizen Lab, for instance, has revealed a number of surveillance mechanisms embedded in Chinese social-media platforms.33 In early December 2017, Indian authorities reportedly instructed armed-service members to avoid 42 apps, including WeChat, on the grounds that “a number of Android/IOS apps developed by Chinese developers or having Chinese links are reportedly either spyware or other malicious ware.”34 This is particular cause for concern since the Chinese government has a dark history of using its high-tech exports for espionage activities. Such activities are part of a broader pattern of high-tech spying: On 11 December 2017, Germany’s intelligence agency accused China of harvesting the personal information of German officials [End Page 61] through the career-networking site LinkedIn.35 Finally, researchers and advocates are rightfully concerned by the prospect that the Chinese government will export its censorship and surveillance technologies, as well as the social-credit system that they have enabled, to other authoritarian governments. In July 2016, President Xi Jin-ping began promoting the concept of the “China model for a better social governance system.” The “China model,” in this case, is nothing but a more appealing term for a comprehensive system of state repression, bolstered by the latest digital technologies and coupled with limited openness in the economic sphere. But the CCP is increasingly self-confident due to its economic success and increased control over society. If Facebook and Google indeed enter or re-enter the China market, they will be two perfect examples of the Chinese state’s success in promoting “internet sovereignty.” The 2016 cybersecurity law, which mandates that internet-service operators must store user data and communication content within China, came into effect in June 2017. Apple has already taken action to comply, first declaring its intention to make China’s Guizhou Province the site of an Apple cloud-computing center and then apprising users that a Chinese partner company would be taking over iCloud services in mainland China.40 Combined with requirements to submit to official security assessments and cooperate with official surveillance of “crime,” these mandates for local storage of data would give the government unfettered access to search histories and other personal information regularly acquired by global tech companies. The concessions these companies make might end up endangering those whose searches or messaging contain sensitive content. While Chinese people embrace the convenience brought by a new generation of digital technology, China’s rulers are turning their information, habits, and desires into powerful levers of control. By consolidating vast quantities of data from state agencies, with assistance from such companies as Alibaba, Baidu, and Tencent, PRC authorities are well on their way to constructing the world’s largest “dataveillance” infrastructure under the flag of the China model. If the trend toward accommodation of PRC censorship and surveillance requirements continues, global tech companies may soon be making their own contributions to this authoritarian edifice. In February 2018, Xi Jinping orchestrated the elimination from China’s constitution of the two-term limit for the presidency. The addition of digital technology to the apparatus of centralized authoritarianism may well enable Xi to realize his aspiration of holding onto China’s highest office indefinitely. In Xi Jinping’s “Brave New China,” it has become increasingly clear that the digitalization of Chinese society is amplifying the state’s capacity to monitor and control the country’s 1.4 billion people. As PRC authorities augment their formidable collection of high-tech instruments for surveillance and control, they are increasingly cultivating the “ability to persistently link people’s identities and activities.” This is the constant thread running through not only the SCS, but also mandatory real-name registration for internet users; the collection of face, voice, and DNA data; and the ID checks now required in order to perform everyday activities such as mailing a package or getting on a bus.43 A new generation of digital technology, including AI, will empower the state to identify and quash opposition in advance by combining clues from its many channels of mass information collection. In short, China is well on its way to building the world’s first “responsive tyranny,” perhaps even a “digital totalitarian state.”44 Although this may be a dream come true for a dictator hoping to exert maximum control over his society, it is a nightmare for Chinese citizens and for those all over the world who value human freedom. 1. Jon Russell, “China Reaches 800 Million Internet Users,” TechCrunch, 21 August 2018, https://techcrunch.com/2018/08/21/china-reaches-800-million-internet-users. 2. Rachel Botsman, “Big Data Meets Big Brother as China Moves to Rate Its Citizens,” Wired, 21 October 2017, www.wired.co.uk/article/chinese-government-social-credit-score-privacy-invasion. 3. Keith Bradsher, “China Toughens Its Restrictions on Use of the Internet,” New York Times, 28 December 2012. 4. Keith Zhai, “Up to Three Years in Prison for Chinese Internet Users Who Spread Rumours,” South China Morning Post, 10 September 2013; “China Issues New Internet Rules That Include Jail Time,” BBC, 9 September 2013, www.bbc.com/news/world-asia-china-23990674. 5. “China Employs Two Million Microblog Monitors State Media Say,” BBC, 4 October 2013, www.bbc.com/news/world-asia-china-24396957. 6. Sue-Lin Wong and Michael Martina, “China Adopts Cyber Security Law in Face of Overseas Opposition,” Reuters, 6 November 2016, www.reuters.com/article/us-china-parliament-cyber/china-adopts-cyber-security-law-in-face-of-overseas-opposition-idUSKBN132049. 7. “Youzhong: Wangxinban yuetan shilu” [Daring: The Cyberspace Administration of China’s interview records], China Digital Times, 10 August 2018, https://chinadigitaltimes.net/chinese/2018/08/%E6%9C%89%E7%A8%AE%E4%B8%A8%E7%BD%91%E4%BF%A1%E5%8A%9E%E7%BA%A6%E8%B0%88%E5%AE%9E%E5%BD%95. 8. Information Controls, Global Media Influence, and Cyber Warfare Strategy: Hearing Before the U.S.-China Economic and Security Review Commission, 115th Cong. (2017) (statement of Xiao Qiang), www.uscc.gov/sites/default/files/transcripts/May%20Final%20Transcript.pdf; Simon Denyer, “China’s Scary Lesson to the World: Censoring the Internet Works,” Washington Post, 23 May 2016. 9. Sijia Jiang, “China Cracks Down on Unauthorized Internet Connections,” Reuters, 23 January 2017, www.reuters.com/article/us-china-internet/china-cracks-down-on-unauthorized-internet-connections-idUSKBN15715U. 10. Charles Arthur, “China Tightens ‘Great Firewall’ Internet Control with New Technology,” Guardian, 14 December 2012; Leo Zhao and Lulu Xia, “China’s Cybersecurity Law: An Introduction for Foreign Businesspeople,” China Briefing, 1 March 2018, www.china-briefing.com/news/2018/03/01/chinas-cybersecurity-law-an-introduction-for-foreign-businesspeople.html. 12. Charles Rollet, “China Public Video Surveillance Guide: From Skynet to Sharp Eyes,” IPVM, 14 June 2018, https://ipvm.com/reports/sharpeyes. 13. “Zhongguo tianwang jiankong bei you huo qinhai geren yinsi” [China’s Skynet surveillance system raises worries over the possibility of violations of personal privacy], Voice of America, 26 September 2017, www.voachinese.com/a/news-china-builds-largest-camera-minitoring-system-20170926/4044624.html; Frank Hersey, “China to Have 626 Million Surveillance Cameras Within 3 Years,” Technode, 22 November 2017, https://technode.com/2017/11/22/china-to-have-626-million-surveillance-cameras-within-3-years. 14. “China: Voice Biometric Collection Threatens Privacy,” Human Rights Watch, 22 October 2017, www.hrw.org/news/2017/10/22/china-voice-biometric-collection-threatens-privacy. 15. Joseph Hincks, “China Is Creating a Database of Its Citizens’ Voices to Boost Its Surveillance Capability: Report,” TIME, 23 October 2017. 16. Li Sheng, “Guanyu xia yidai DNA shujuku goujian de sikao” [Thinking about the construction of the next generation DNA database], Xingshi jishu 38, no. 1 (2013): 49–51; Wenxin Fan, Natasha Khan, and Liza Lin, “China Snares Innocent and Guilty Alike to Build World’s Biggest DNA Database,” Wall Street Journal, 26 December 2017. 17. Fan, Khan, and Lin, “China Snares”; “Privacy Concerns as China Expands DNA Database,” BBC, 17 May 2017, www.bbc.com/news/world-asia-china-39945220; “China: Police DNA Database Threatens Privacy,” Human Rights Watch, 15 May 2017, www.hrw.org/news/2017/05/15/china-police-dna-database-threatens-privacy. 18. Megha Rajagopalan, “This Is What a 21st-Century Police State Really Looks Like,” BuzzFeed, 17 October 2017, www.buzzfeed.com/meghara/the-police-state-of-the-future-is-already-here?utm_term=.qdqyWxPXgb#.kq33ogJWqN; Josh Chin and Clément Bürge, “Twelve Days in Xinjiang: How China’s Surveillance State Overwhelms Daily Life,” Wall Street Journal, 19 December 2017. 19. “China: Passports Arbitrarily Recalled in Xinjiang,” Human Rights Watch, 21 November 2016, www.hrw.org/news/2016/11/21/china-passports-arbitrarily-recalled-xinjiang. 20. “China: Minority Region Collects DNA from Millions,” Human Rights Watch, 13 December 2017, www.hrw.org/news/2017/12/13/china-minority-region-collects-dna-millions; James Griffiths, “China Collecting DNA, Biometrics from Millions in Xinjiang: Report,” CNN, 12 December 2017, www.cnn.com/2017/12/12/asia/china-xinjiang-dna/index.html. 21. Mercy A. Kuo, “Uyghur Biodata Collection in China,” 28 December 2017, https://thediplomat.com/2017/12/uyghur-biodata-collection-in-china. 22. Mirjam Meissner, “China’s Social Credit System,” China Monitor (Mercator Institute for China Studies), 24 May 2017, https://www.merics.org/sites/default/files/2017-09/China%20Monitor_39_SOCS_EN.pdf, 6; Mara Hvistendahl, “Inside China’s Vast New Experiment in Social Ranking,” Wired, 14 December 2017, www.wired.com/story/age-of-social-credit. 23. Cojo, “Sesame Credit: The Dark Side of Gamification,” Artifice, 2 January 2016, https://the-artifice.com/sesame-credit-gamification. 24. “Shehui xinyong tixi jianshe guihua gangyao (2014–2020 nian) renwu fengong” [Outline of the division of tasks for the Social Credit System construction plan (2014–2020)], http://www.ndrc.gov.cn/gzdt/201501/W020150105530734502125.pdf. 26. Martin Chorzempa, Paul Triolo, and Samm Sacks, “China’s Social Credit System: A Mark of Progress or a Threat to Privacy?” Peterson Institute for International Economics, June 2018, https://piie.com/system/files/documents/pb18-14.pdf. 27. Harry Cockburn, “China Blacklists Millions of People from Booking Flights as ‘Social Credit’ System Introduced,” Independent, 22 November 2018, https://www.independent.co.uk/news/world/asia/china-social-credit-system-flight-booking-blacklisted-beijing-points-a8646316.html. 28. “Big Data, Meet Big Brother: China Invents the Digital Totalitarian State,” Economist, 17 December 2016. 29. Anminda, “How Tech Firms Partner with Beijing to Shame Citizens,” China Digital Times, 17 October 2017. 30. “Alibaba’s Jack Ma Urges China to Use Data to Combat Crime,” Bloomberg, 23 October 2016, www.bloomberg.com/news/articles/2016-10-24/alibaba-s-jack-ma-urges-china-to-use-online-data-to-fight-crime. 31. Li Yuan, “Beijing Pushes for a Direct Hand in China’s Big Tech Firms,” Wall Street Journal, 11 October 2017. 32. Meg Jing Zeng, “Thinking of Taking Up WeChat? Here’s What You Need to Know,” The Conversation, 17 December 2017, https://theconversation.com/thinking-of-taking-up-wechat-heres-what-you-need-to-know-88787. 33. Lotus Ruan et al., “One App, Two Systems—How WeChat Uses One Censorship Policy in China and Another Internationally,” Citizen Lab, 30 November 2016, https://citizenlab.ca/2016/11/wechat-china-censorship-one-app-two-systems. 34. “Government Reportedly Lists 42 Chinese Apps as Dangerous, Including True-Caller, UC Browser, Mi Store: Check If Your Phone Has Any of Them,” Financial Express (Noida, India), 1 December 2017. 35. Joseph Hincks, “Germany’s Intelligence Agency Says China Used Fake LinkedIn Profiles to Spy on Officials,” TIME, 11 December 2017. 36. Graham Webster et al., “Wang Huning’s Speech at the 4th World Internet Conference in Wuzhen,” New America, DigiChina blog, 13 December 2017, www.newamerica.org/cybersecurity-initiative/digichina/blog/wang-hunings-speech-4th-world-internet-conference-wuzhen. 37. “Apple’s Tim Cook Says Developers Have Earned $17 Billion from China App Store,” Reuters, 2 December 2017, www.reuters.com/article/us-apple-china/apples-tim-cook-says-developers-have-earned-17-billion-from-china-app-store-idUSKBN1DX04J. 38. “Zuckerberg Hosts Chinese Internet Regulator, ‘Buys Xi Jinping’s Book’ for Face-book Staff,” South China Morning Post, 9 December 2014; Charlotte Middlehurst, “Chinese President Snubs Mark Zuckerberg’s Request for Baby Name,” Telegraph, 4 October 2015; Mike Isaac, “Facebook Said to Create Censorship Tool to Get Back into China,” New York Times, 22 November 2016. 39. Ryan Gallagher, “Google China Prototype Links Searches to Phone Numbers,” Intercept, 14 September 2018, https://theintercept.com/2018/09/14/google-china-prototype-links-searches-to-phone-numbers; Samuel Wade, “Activists Ask Google: What’s Changed Since 2010?” China Digital Times, 30 August 2018; Samuel Wade, “New iPhones, Google Plans Could Track Chinese Users,” China Digital Times, 14 September 2018. 41. Christina Larson, “China’s Massive Investment in Artificial Intelligence Has an Insidious Downside,” Science, 8 February 2018. 42. Paul Mozur, “Beijing Wants A.I. to Be Made in China by 2030,” New York Times, 20 July 2017. 44. “Reinventing Liberalism for the 21st Century,” Economist, 13 September 2018; “Digital Totalitarian State,” Economist.